GIFT FROM THE PINE NEEDLERS! LYON COUNTY CASA RECEIVES GIFT FROM THE PINE NEEDLERS! 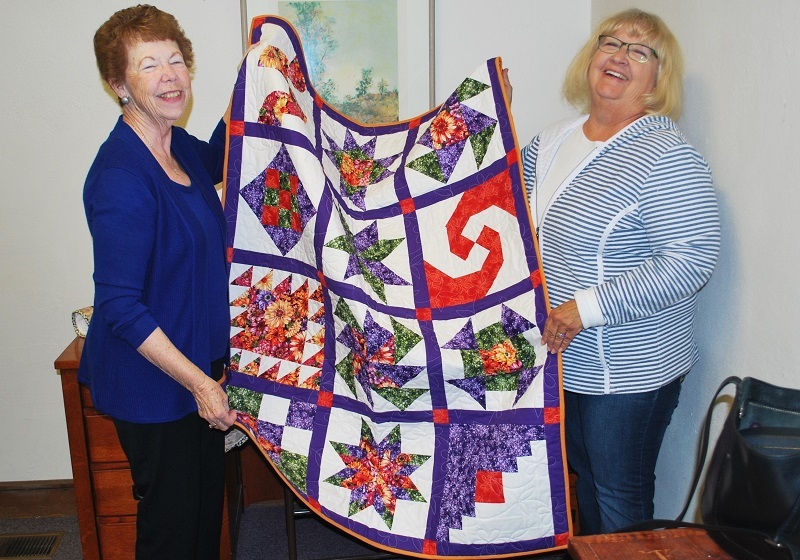 On Monday, October 2nd, Lyon County CASA received a wonderful gift from Pine Needlers quilt group of Smith Valley quilters Katherine Feaster and Lynda Boody. Lyon County CASA volunteers work closely with children who have been removed from their homes due to abuse or neglect. These children are placed in foster homes or homes of family members as the parents work to reunify with their children. The Pine Needlers provided Lyon County CASA with a beautify array of handmade quilts which will be personalized with the name of the child receiving them. The Pine Needlers is an informal group of individuals who love to quilt! 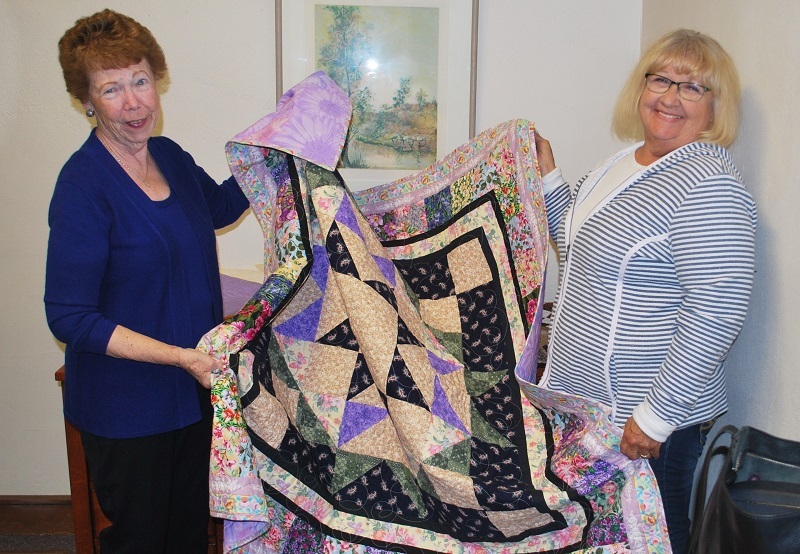 They meet twice a month at the Smith Valley Methodist Church Hall where they share materials and work on making beautiful quilts to be shared with others. New participants are welcome. They have shared their quilts in the past with Wounded Warriors and Fisher House as well as other non-profit groups. The quilts have been created with love and are being shared with others so they have something permanent to keep them warm. Our sincere and heart felt THANK YOU goes out to all of the wonderful members! The mission of the Lyon County CASA is to recruit, train and support court appointed special advocates so that every abused or neglected child can be safe, establish permanence and have the opportunity to thrive. There is a continuing need for volunteers throughout Lyon County. If you would like more information about how to become a volunteer, check out our website at www.lyoncountycasa.org. Keeping children safe is everybody’s business. CASA volunteers play a unique role on behalf of some of our most vulnerable children. Their commitment offers hope for these children. Thank You to National CASA for the photographs and videos! Copyright 2019 CASA of Lyon County All Rights Reserved.